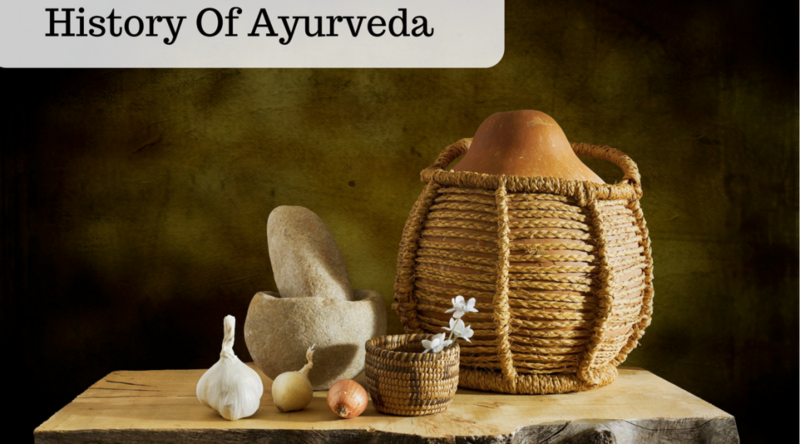 Ayurveda, one of the oldest traditional systems of medicine, originated in the Indian subcontinent. With a rich history that dates back to more than 5000 years, Ayurveda was mainly practised by the sages during the Vedic civilisation. It is said that the main source of knowledge for Ayurveda was derived from the Vedas, the holy books of knowledge. Nyaya advocated its teaching on the grounds that one needs to have a thorough knowledge about the condition of the patient and the disease before starting the treatment. The two school of thoughts later worked together to form the Nyaya–Vaisesika school. This new school of thought is believed to propagate the knowledge of Ayurveda throughout the country. Also, there is a mythological aspect of the origin and development of Ayurveda. It is said that Ayurveda owes its origin to Brahma, the God who created the universe as per the Hindu Mythology. It was Brahma who passed this knowledge of Ayurveda to the sages for the well-being of the humans. The sages then passed this knowledge to their disciples and then to the common man. They composed all the information about the herbs and medicines in form of Shlokas or hymns. It is believed that all the compilations related to healing and medicines were contained in the four Vedas – Rig Veda, Yajur Veda, Sama Veda and the Atharva Veda. It was around 1500 to 1000 BC when Ayurveda in India developed. It followed a same developmental phase as the Chinese and the Western medicine (evolving from religious and mythological discipline and then moving into the medical system). The two schools of medicine that was found during this period were the Atreya (school of the physicians) and Dhanvantari (school of the surgeons). It was Agnivesha who systematised all the knowledge of Ayurveda from the Vedas which was the edited by Charaka and other scholars, it’s currently known as Charaka Samhita and contains all the knowledge pertaining to the different aspects of Ayurvedic medicines. Another important compilation is Sushruta Samhita, which is all about the science of surgery. Sushruta compiled the teachings of Dhanvantari in Sushruta Samhita. These 2 legendary books are being followed by Ayurvedic practitioners till this date. Ashtanga Sangraha was written by Vridha Vagbhata, a disciple of Charaka, and the work explores both the medical and the surgical aspects of treating diseases through Ayurveda. Ashtanga Hrudayam is also believed to be written by Vagbhata as both the books are very much similar. The only difference is that in Ashtanga Sangraha, the writer has used more verse than prose while Ashtanga Hrudayam is concise. Sushruta, Charaka, and Vagbhata are considered to be “The Trinity” of Ayurvedic knowledge. The period between 800 BCE and 1000CE was the Golden Age of Indian medicines. This was the time when all the important books on Ayurveda were produced and circulated throughout the world. Ayurveda not only gained popularity among the Indians but the information on the traditional systems of Indian medicine became popular amongst Greeks, Egyptians, Chinese, Roman, Persians, Arabs, and Tibetans who travelled to India during that time. They studied Ayurveda in India and the carried this valuable knowledge to their respective countries. Between 1000 CE and 1200 CE, physicians such as Avicenna and Razes translated a great part of the Ayurvedic knowledge into Arabic. Another important medical book was written around 1100 CE by Madhavacharya. The book was called Madhava Nidana. The book contained all information regarding diseases of women, children, diseases of the ear, nose, and throat, and toxicology. The Madhava Nidana was one of the first and most important books of what is called the “Junior Triad” of Ayurveda. The Junior Triad texts include Madhava Nidana, Sarangdhar Samhita, and the Bhavaprakasham. On the other hand, Charaka Samhita, Sushruta Samhita, and Ashtanga Hrudayam constitute the Senior Triad. The Sharangdhar Samhita, the second book of the Junior Triad was written by Acharya Sharangdhara in around 1300 CE. This book contained information on new diseases and syndromes along with their treatments, pharmacological and herbal formulas. This book contains details about Pulse examination also. Bhavaprakasham is the final book of the Junior Triad, written by Bhava Mishra in around 1500 CE. This book discussed different medicinal characteristics of minerals, plants, and food. Bhava Mishra was the first author who discussed a disease called Phiranga rog which was probably the name given to Syphilis. Another new addition to his book was introducing chapters on the enlargement of spleen and liver. He also mentioned about some new medicines such as Chop Cheeni (Madhusnuhi) and the method of preparing Opium (Ahiphena), Camphor, and Parasika Yavani. He was also the first one to write about the use of mercurial elements for treating Phiranga rog. It was also during this time that the Swiss Renaissance Physician Paracelsus was also influenced by the knowledge of Ayurveda. Bhava Mishra demonstrated through his writings that Ayurveda is not against embracing new ideas and theories. The only criterion for selecting any drug or a treatment methodology was for the patient’s benefit. With the changes in the environment, new diseases and symptoms will arrive and to treat them, new remedies are also required. With British rule, Western culture, medicine, and science began to spread its influence. Since these practices were supported by the then Government, it thwarted the further evolution of Indian Sciences. However, Ayurveda was still followed by over 80% of the Indian population. In the latter half of British rule, Ayurveda again drew the attention of scholars throughout the world. With the growth of nationalist spirit during the Indian independence struggle, Ayurveda started growing, though at a slow but steady pace. New institutes were established and now, there are hundreds of Ayurvedic institutes all over the country. Even today, a major part of the Indian population relies on Ayurvedic medicines for healing. Containing all the goodness of medicinal herbs, these products are 100% natural.